The story of Carlotta and her race to get better. Carlotta is a young Italian girl, a promise of regional motocross. She was born on the 6th of May, 1997 and she lives in a small village near Viterbo where she works as an accountant in her father’s company. 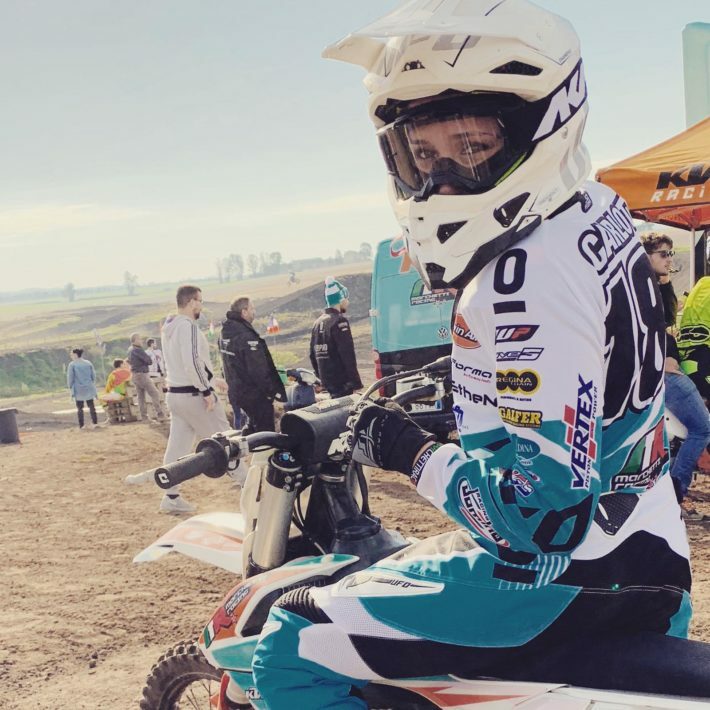 When she was a kid, she practiced riding for several years, but since 2013 she discovered her passion for motors and started practicing motocross. “It was my father who transmitted this passion to me, and he was very happy when I told him that I would leave riding to start a new route as a motorcyclist” states Carlotta, “I started practicing this sport only on Sundays because of school and initially I was very discouraged because I couldn’t see any signs of improvement. 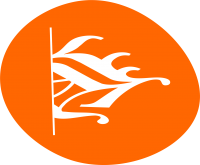 Despite this, with time, commitment and devotion, I have achieved many goals and started competing at the regional level”. 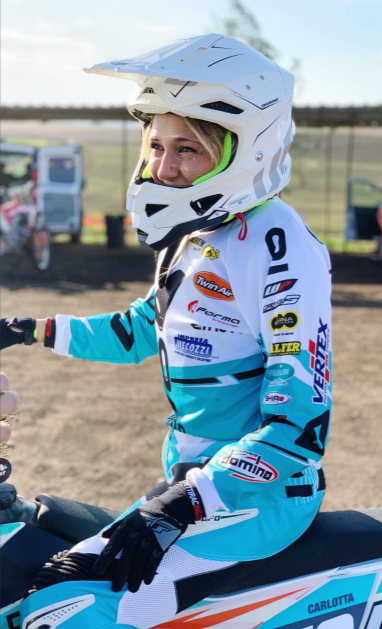 It was the morning of the 13th of January 2019 and Carlotta, like every weekend, was with her dirt bike at the ‘Vetralla Tomassini’ racetrack to train for the competition that would be held in April. During the training, at the exit of a bump, Carlotta lost control of her dirt bike and flew off the track. “I remember my accident as if it were yesterday: I tightening the brakes, the dirt bike that slips and I lose control and find myself on the ground. What I felt in those tragic minutes I do not wish on anyone: my head was like it was somewhere else. I was on the ground, I couldn’t breathe either because fortunately, I was still wearing the helmet, and also because of the strong pains in the sternum. I could only scream “take off my helmet, I can’t breathe”, and I heard the voice of my instructor telling me to keep calm, and then total darkness.” On the spot the medical team gave the girl the first aid, awaiting the arrival of the ambulance that transported her to the emergency room of the Belcolle hospital in Viterbo. “I woke up in the hospital with excruciating pain all over my body; I remember my mother’s voice reassuring me”. Radiographs showed a slight head injury and several fractures and dislocations around the elbow. The doctor told her that she had to undergo an operation as soon as possible and that with the rehabilitation she would recover perfectly and return to compete again. “The days after the operation was agony, I could not sleep, I had no appetite, I only felt pain.” To this day, after about a month and a half from the operation, the situation has not improved despite the various rehabilitation therapies. In fact, Carlotta discovered that the situation is more critical than the doctors thought and that she needs to undergo another operation hoping that her hand recovers the sensibility. “The news devastated me. I will have to wait at least another month, the times are getting longer and longer, and I don’t see the light at the end of the tunnel”. During her recovery period many motorcyclists wrote her messages of encouragement and in particular, a boy belonging to her own team was particularly close to her. “We got to know each other thanks to this sport and a beautiful friendship was immediately born. In those dark and sad days he has always been there for me, and with time I realized that our bond was more than just a friendship”. Now, Carlotta and Simone have started dating; he accompanies her during all the visits and rehabilitation therapies, while she accompanies him in all his competitions and it’s like she still competes. “Although this period is not one of the best for me, Simone’s presence makes everything lighter. During my motorcycling career, I suffered several falls even though none was like this; I’m determined and motivated to heal quickly and get back on track stronger than before”.